It’s easy to save energy and thus save money at home. Check out the resources and programs below to lower your energy usage, make your home more comfortable, and help the environment. While the emPower Central Coast program has come to an end there are great energy efficiency resources for residents, businesses, and the workforce including rebates, financing options, and educational resources. Additionally, the Tri-County Residential Energy Network (3C-REN) is launching new energy efficiency programs and services in mid-2019 designed to address the needs and challenges of local government agencies, building professionals, and residents in our region. Learn more by accessing the emPower Central Coast resources pages on the web at https://www.empowersbc.org/ and by visiting the County of Ventura Energy Efficiency resources pages at https://www.ventura.org/environment/tricountyren/. 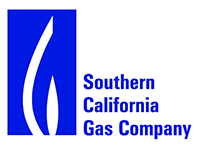 Southern California Edison and Southern California Gas Company have partnered with Synergy Companies to offer energy-saving products and services for light fixtures, low-flow shower heads, and pipe-wrap through the Comprehensive Manufactured Home Program. If you’re ready to get started, contact Synergy Companies at 1-888-988-9829 to schedule a free evaluation of your mobile home. An energy specialist will come to your home to identify opportunities for you to save, and provide free supplies and installation to help you make your energy upgrades.